If you have been charged with a criminal offense in the Philly metro area, you are likely already aware just how complex and intimidating the justice system can be. Among Philadelphia criminal defense attorneys, we at the Law Offices of David Jay Glassman fully understand that the risk of losing your freedom is a very serious matter. More than 35 years of experience gives us the knowledge and confidence to approach any type of criminal case without hesitation. We are trial-tested and ready to do battle in court when your freedom depends on it. You want your future protected and you want the best possible outcome. Our experienced legal team will work aggressively to do both. We are experts in crisis management and we understand that in many cases, criminal charges can have civil repercussions as well. We practice in the Philly metro area and surrounding areas. Not content to sit behind a desk all day, David Glassman is rare among Philadelphia felony attorneys — he is ready to interact with clients who desperately need legal representation at virtually any time of the day or night. 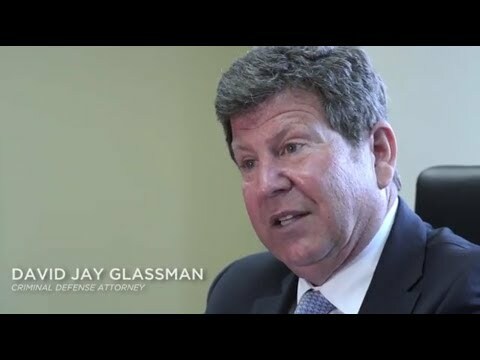 Our team at the Law Offices of David Jay Glassman has an excellent reputation and prides itself on looking at the overall picture when clients are in trouble. If you have been charged with a criminal offense, take those charges very seriously and hire a strong, skilled, seasoned attorney to advocate on your behalf and fight aggressively for your freedom. Call us today at 215-563-7100 or contact us online for an aggressive criminal defense.